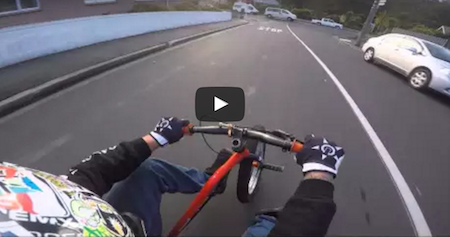 When you were a kid, and even some adults today, a bike + a hill = a day of pure awesomeness! But when these young men ventured out to attempt this daredevil stunt on the steepest street in the world, it left me on the edge of my seat. They took riding a bike down a hill to a whole different level.